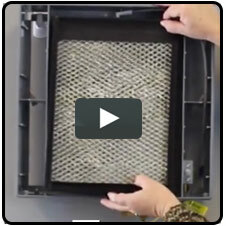 Special Same Day* Ground Shipping On The Aprilaire 700 Humidifier! Quality air is one of the fundamentals of health and safety for your home and family. Many consumers don’t realize that indoor air can be more polluted than outdoor air – even in areas with heavy pollution! And dry air can be a hazard to your home and your health. Ensuring healthier, cleaner air in your home starts with a quality humidifier you can trust. We proudly recommend the Aprilaire Model 700 Humidifier, a best-selling whole-home humidifier suitable for medium to large homes. The Aprilaire 700 Humidifier is a large-capacity unit that humidifies homes up to 4,200 square feet and delivers up to 18 gallons of water each day. An Aprilaire humidifier can help relieve and prevent issues caused by dry air in your home, and helps provide comfort and better indoor air quality no matter the season or weather outside. Home humidifiers are an important and essential aspect of your home’s longevity and your family’s comfort and health. This unit features the new #60 humidistat that enables your system to be automatically controlled - taking the guesswork out of the equation! The #60 humidistat mounts directly to your return duct and will notify your humidifier when more humidity is needed to reach the desired set point. No more guessing or waiting until you realize the air is too dry! If you prefer manual operation to automatic, you can have the Aprilaire 700 installed in manual mode. When it comes to the Aprilaire 700 installation, simply install into your supply duct or request installation from a local HVAC professional. Your Aprilaire humidifier comes with a built-in fan that pulls the warm air from your furnace and uses it to create humidity, making it more efficient and effective at humidifying your home than a bypass humidifier. The plenum (duct) opening measures 14 3/4" by 14 5/16". Add the new Aprilaire 700 Humidifier Annual Maintenance Kit to your order! This convenient kit gives you all the parts you need to maintain your Aprilaire humidifier each year and keep it running in like-new factory condition. This whole home, fan-powered humidifier is a direct dimensional replacement for the Aprilaire 760 humidifier. Aprilaire has been a leader in home comfort and indoor air quality since 1938 when the company first designed and manufactured air quality appliances. 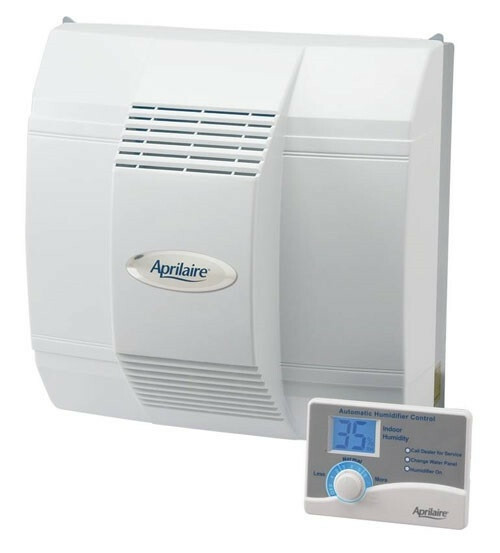 Aprilaire offers a full suite of home appliances such as humidifiers, dehumidifiers, air purifiers, ventilation systems, thermostats, and other technology to ensure comfort and quality air in your home. I ordered the Aprilaire 700 automatic for my new home because I had a similar older model in my previous home that I installed 10 years ago. I was pleasantly surprised to receive the humidifier two days after I ordered it from DiscountFurnaceFilter.com.